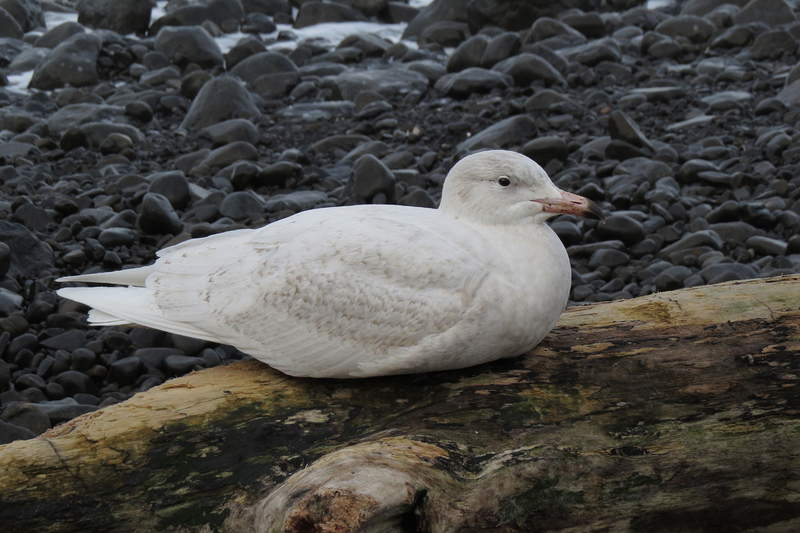 I found this first-cycle Glaucous Gull at the Seaside Cove recently. He was very accommodating, allowing me close views. I don’t get to see Glaucous Gulls very often, but I was struck by the large size of this bird. He dwarfed the other gulls that were present. The darker markings on this bird have faded, making him appear mostly white. 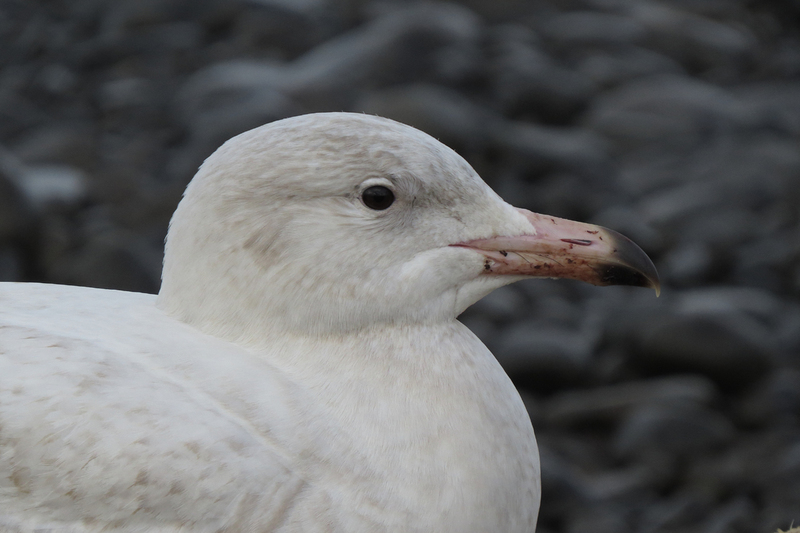 This head shot shows the pink bill with the distinct black tip, typical of first and second-cycle Glaucous Gulls. Among the other gulls present that day were this Thayer’s Iceland Gull and this Western Gull, offering a nice comparison of the rather dainty bill of the Iceland and the huge paddle-shaped bill of the Western. 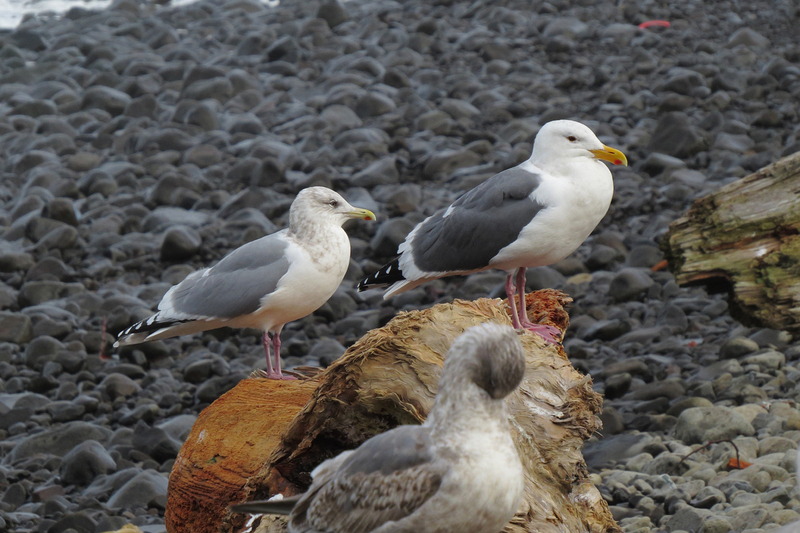 It is nice to see different species side by side to remind us that all gulls really DON’T look alike. Happy gulling! 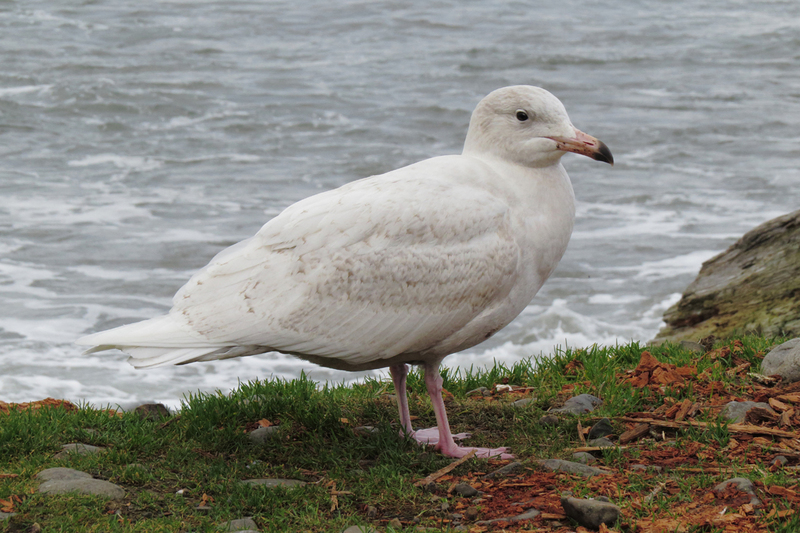 This entry was posted in rarities and tagged Glaucous Gull, Iceland Gull, Thayer's, Western Gull. Bookmark the permalink.